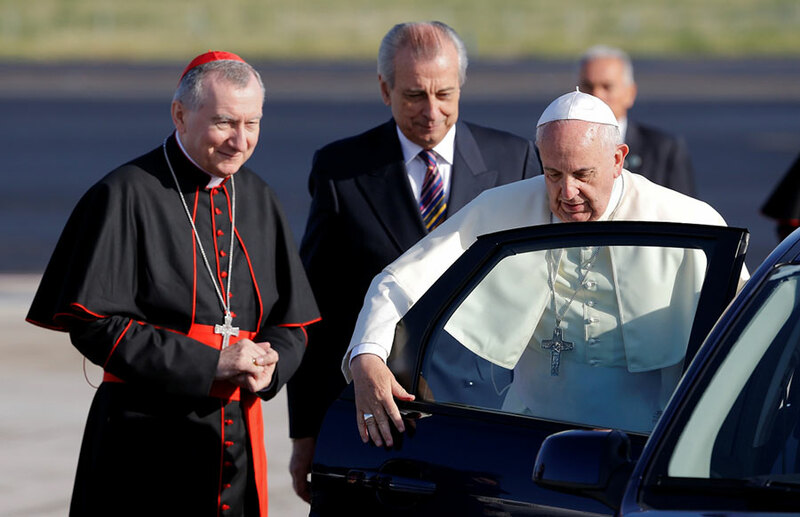 Kraków – Pope Francis is currently performing a pastoral visit in Poland from July 27 to July 31, 2016, where he has spoken up about the refugee crisis and will visit Auschwitz on Friday, all in behest of the World Youth Day 2016. 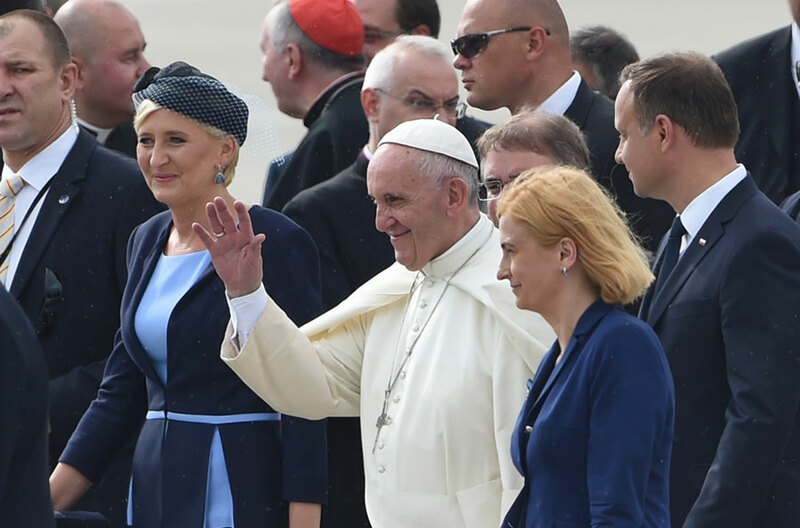 Some are worried the visit might signify open tension between the Vatican and the Polish government. For example, two hours after arriving in Kraków, the Pope spoke at the Wawel Cathedral, urging Catholics to have a ‘spirit of readiness’ to receive refugees, while doing everything that can be done to ‘alleviate the suffering.’ These declarations clash with the Polish governmental position, where authorities have refused to accept refugees over excuses of national security. On Thursday, Pope Francis visited the Jasna Gora monastery shrine’s, where the famous ‘Black Madonna’ stands. The faces of Baby Jesus and Mary have gotten dark as a result of centuries of candle soot. After that, the Pope gave an outdoor Mass in Czestochowa. While walking up to the altar the Pope fell but quickly recovered. “He did not even complain at all. He never said a word” stated Waclaw Depo, the Czestochowa Archbishop, regarding the fall. More than 350,000 people from 187 countries have registered for the event, which has led many locals to take holidays from work, to avoid the security measures and the crowds. On Friday, Pope Francis will visit the Auschwitz concentration camp. This would be a significant visit, given Pope Pius XII’s lack of statements regarding European Jews during the Second World War. He never did once spoke about the Nazi genocide. The relationship between the Vatican and the Jewish community was strayed ever since until Pope John Paul II came. Pope John Paul II was the first sitting Pope to visit a synagogue and make a trip Auschwitz, mending the relationship between the two Faiths. Pope Francis agenda has been very busy during 2016. On 12 February 2016, Pope Francis visited Cuba, where he met Patriarch Kirill, of the Russian Orthodox Church. Both religious leaders signed a thirty-point joint declaration, where they stated a full unity between both Churches was needed. Then, the Pope traveled to Mexico where he stayed until February 18, where he visited the Basilica of Our Lady of Guadalupe in DC, and the cities of Morelia, Ciudad Juárez, San Cristobal de las Casas, Tuxtla Gutiérrez and Ecatepec. On 16 April the Pope visited the Greek island of Lesbos, supporting the refugees. He went to the Moria detention camp where up to three thousand migrants are stranded. On June, the Pope went to Armenia in a three-day long visit, where he addressed the Armenian Genocide. In 2015, during a controversial speech, the Turkey government got angered enough to issue a diplomatic protest and withdraw its ambassador from the Vatican for “consultations”. In the last months of the year, Pope Francis will visit Georgia, Azerbaijan, Sweden, Malta and Pakistan.